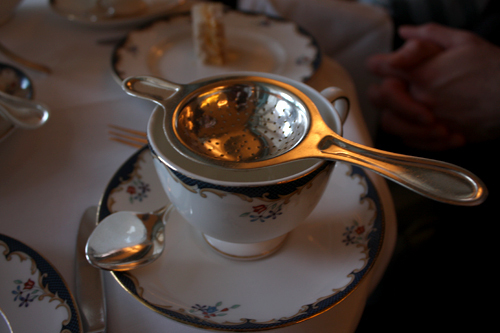 I am big fan of the tea time tradition. Wherever I am I’m on the lookout for hotels, restaurants etc. which offer the five o’clock tea. 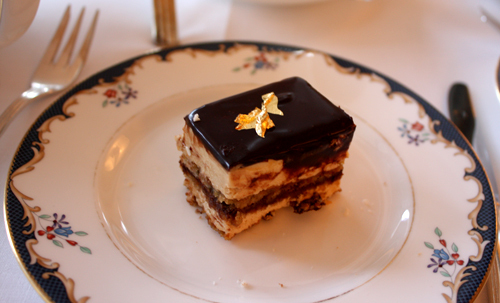 My first tea time was at Winter Palace in Luxor – very recommendable! 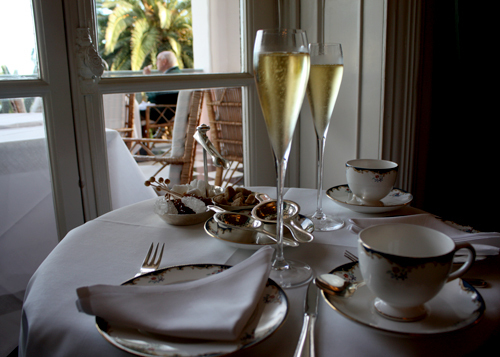 On Madeira you can have a very good tea (and Champagne) at Reid’s Palace. 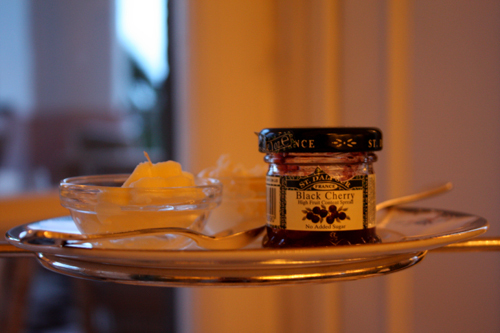 Of course their little cakes and scones are also memorable. 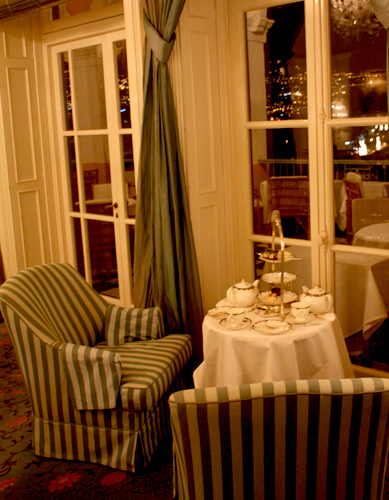 This entry was posted in Travel and tagged five o'clock tea, Madeira, Reid's Palace, tea time, travel. Bookmark the permalink. What lovely pictures! When I was there last Sunday, it was very stormy so my pictures did not turn out as well as yours. Wasn’t that a wonderful experience? I love Madeira.